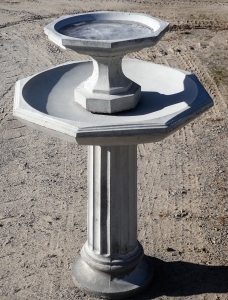 Concrete Birdbaths can add so much to a landscape! 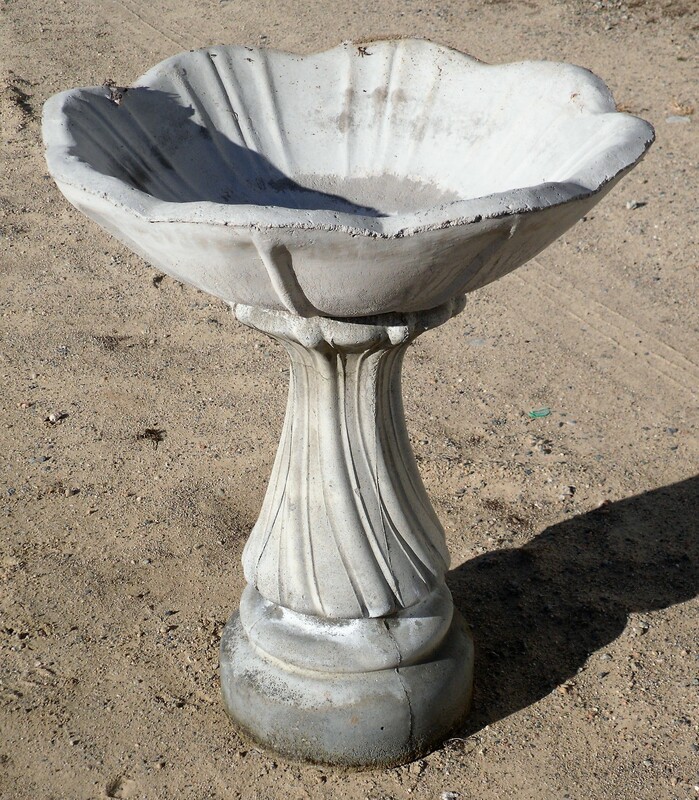 Whether it is in a flowerbed or in the yard, these products create a focal point for your landscape. 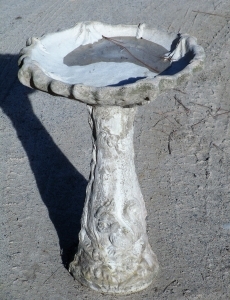 Besides being a focal point, these items attract all varieties of birds! Enjoy your birdbath from your porch in the evenings as you watch the birds bathe and play around in the shallow water. 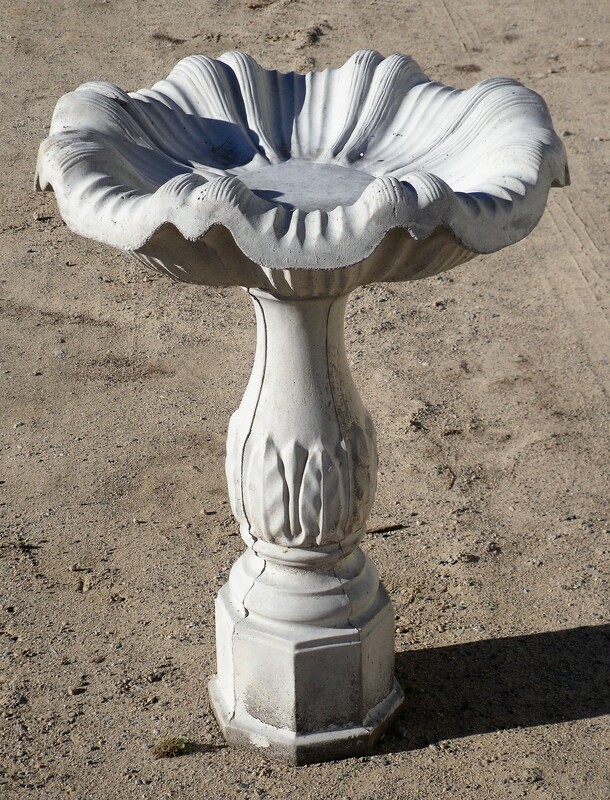 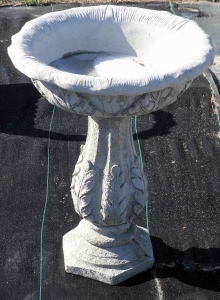 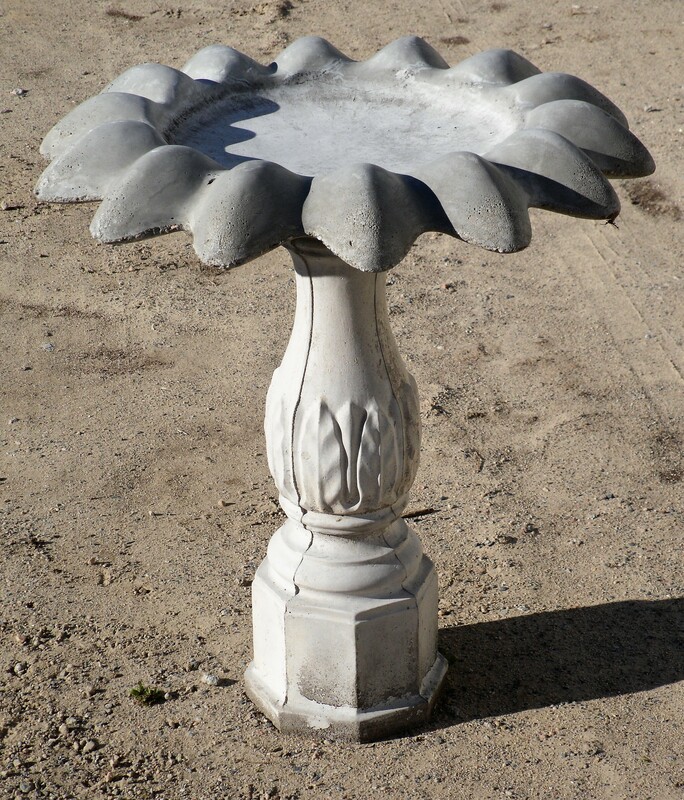 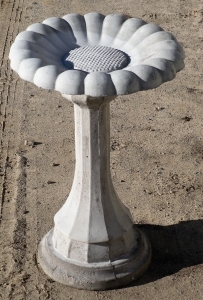 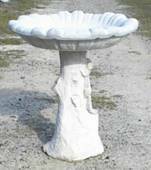 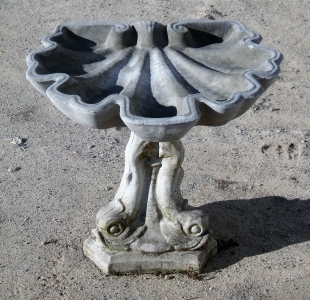 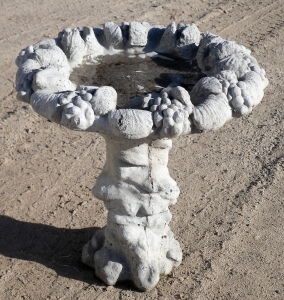 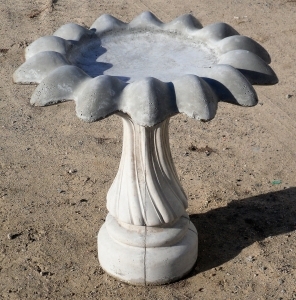 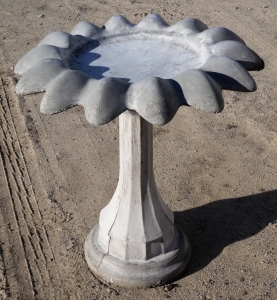 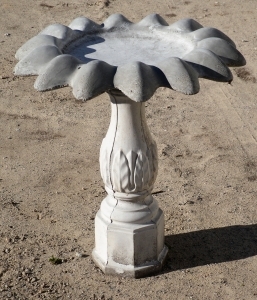 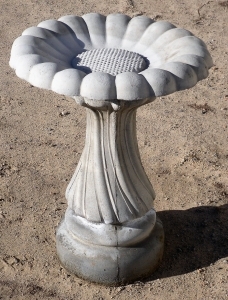 The Cement Barn’s Concrete Birdbaths are cast out of the very best quality cement. However; we recommend not to let water freeze in the bowls during the cold winter months as freezing water can damage the cement. 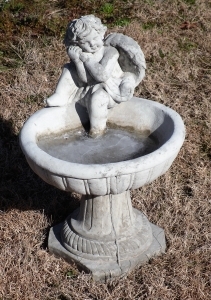 There are a number of ways to eliminate this problem, to find out how to protect your birdbath from the harsh winter elements view our page about Winter Care for Your Statuary. 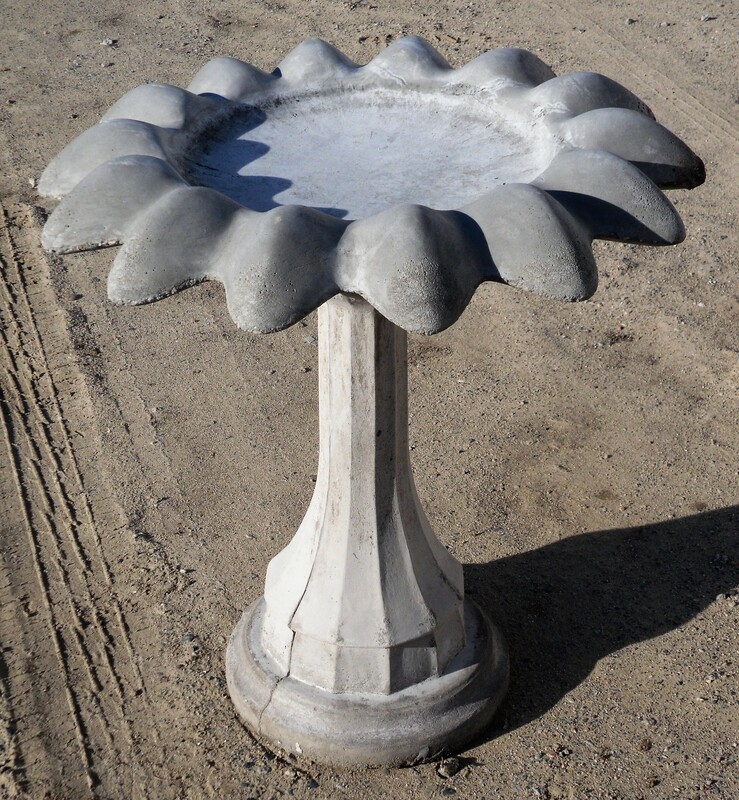 The Cement Barn offers a 100% waterproof cover for your Concrete Birdbath! 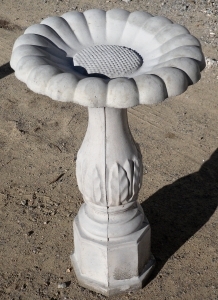 These covers are Polyester and UV Protected against the sun and easy to wipe or wash clean. 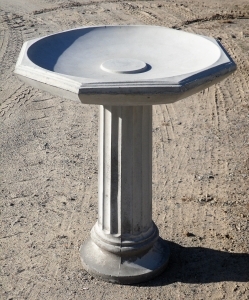 With an elastic band that holds the Bird Bath Cover in place, this item is secure and will not be blown off easily. 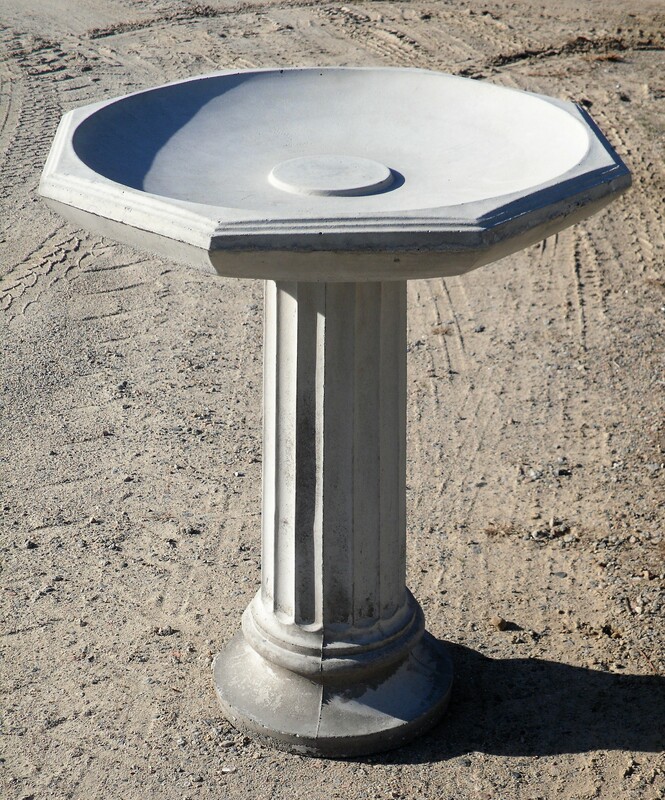 These covers will prevent water and ice from settling inside your bowl to prevent against freeze damage from ice and winter weather. 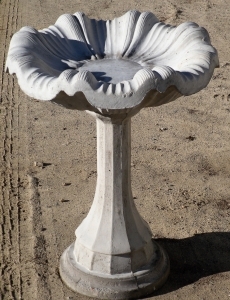 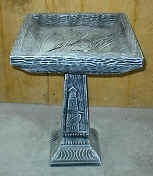 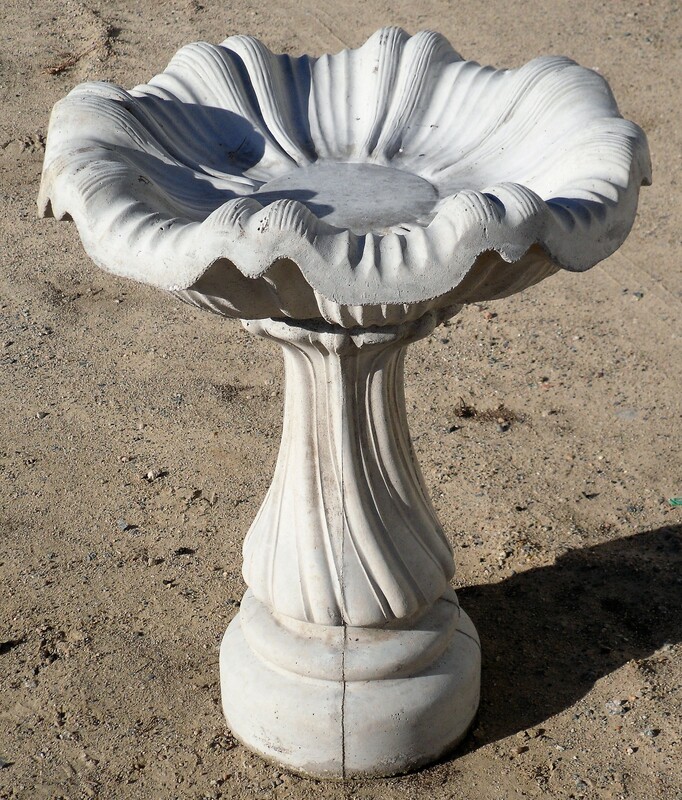 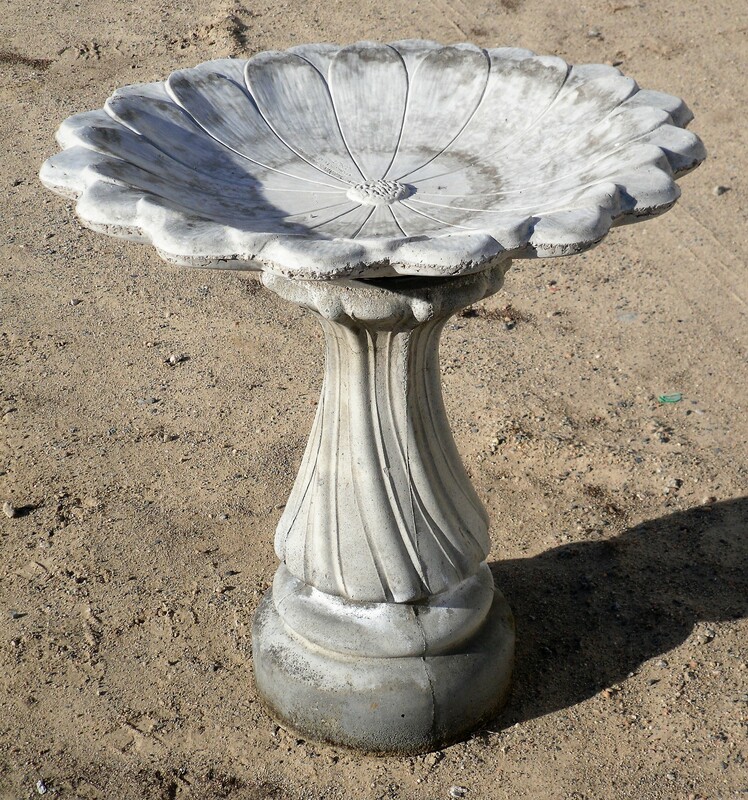 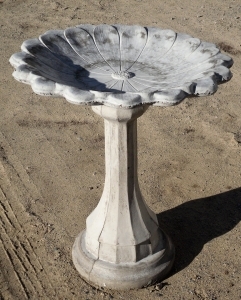 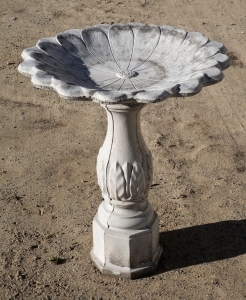 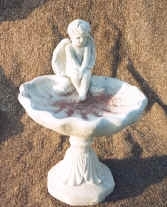 Most of The Cement Barn’s Concrete Birdbaths are versatile and can be interchanged with the pedestals and the bowls. If you are interested in a combination which is not shown in our online catalog please Contact Us and we will help in any way possible. 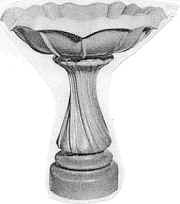 If you would like to place an order please see our How to Order page which will explain the order process and shipping information.